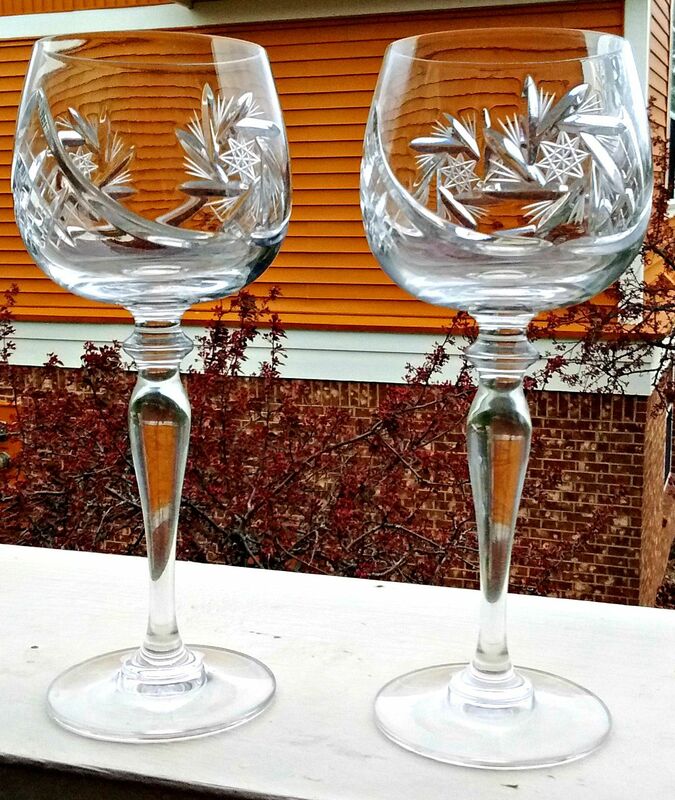 SUPER QUALITY CRYSTAL CUT WINE GLASS. PROBABLY RUSSIAN CRYSTAL, BUT NOT SURE. These beautiful wine glasses are 7 3/4 inches high and 2 3/4" across the top rim. There is a design of a pinwheel with a star in the center on one side of the glass and a waffle or diamond shape pattern on the other. This 2-glass set is perfect for a romantic occasion or serves as a great wedding gift.